Naval Security Force provides a variety of services ranging from operating the Military Working Dog program and Vehicle Registration Office to providing base security and pass and identification information. Applied Fiber Concepts Inc. and Propper International were awarded a 5-year IDIQ contract to deliver Naval Security Forces Vest (NSFV). The companies will supply the U.S.Navy with 51,000+, Level IIIA, load bearing vest. Applied Fiber Concepts Inc. will produce the soft armor inserts yoke, and collar assemblies, and Propper International will supply the outer load bearing vest. The finished product has been designated Naval Security Forces Vest (NSFV). 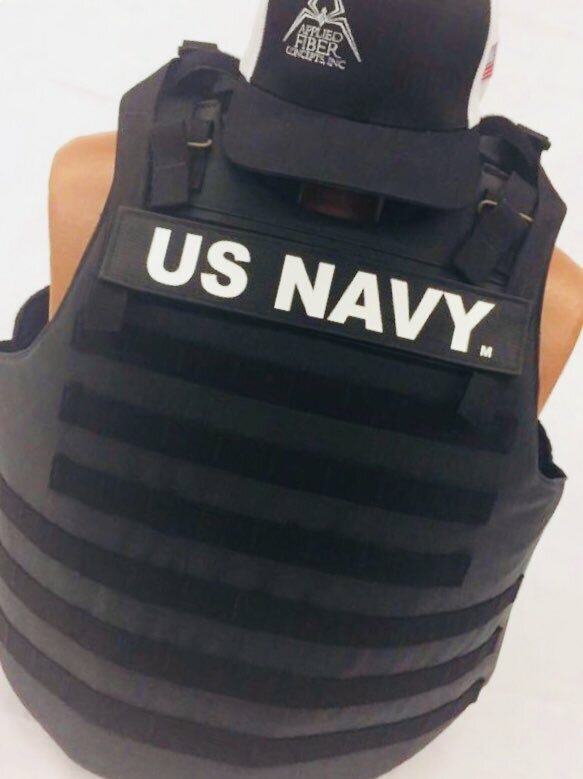 The contract award resulted from a Naval Surface Warfare Center Panama City Division (NSWC PCD) solicitation for a new ballistic vest designed to protect sailors. The requirements call for a base vest and modular components to achieve varying levels of protection to defeat multiple ballistic and fragmentation hazards while performing security and Anti-Terrorism/Force Protection (AT/FP) duties. The NSFV is fully NIJ-certified and tested to perform up to NIJ 0101.06 standards. The contract announcement does not indicate the existence of plate pockets but the solicitation does not limit ballistic protection to Level IIIA so it’s highly probable that the vest can be fitted with Level III or Level IV plates. This entry was posted in Ballistic Protection and tagged Applied Fiber Concepts, NSFV, NSWC, Propper International. Bookmark the permalink.